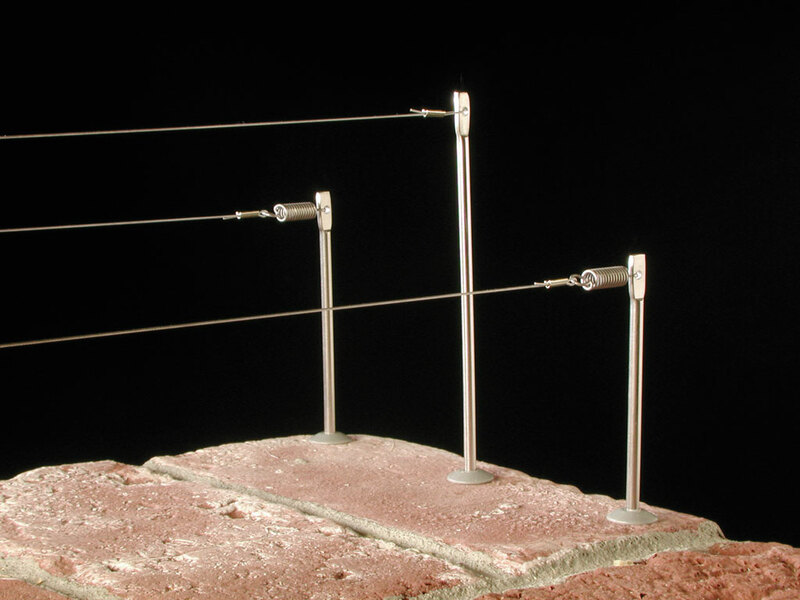 Bird flight diverter bird deterrent hangs flapping from wires to deter pigeons and other pest birds from area. 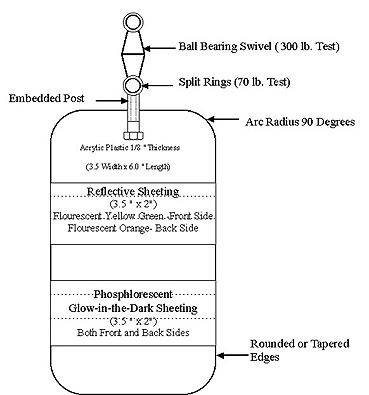 Firefly bird and bat diverters should be installed every 30 feet with interval spacing on high static wires for most effective use. 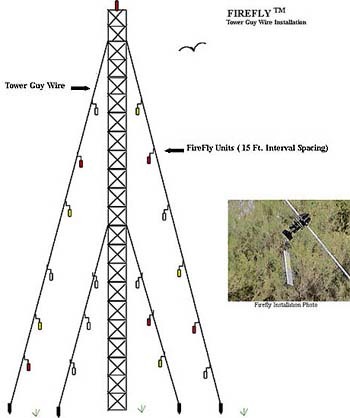 Click here to return to main Firefly bird diverter product page.